OMG Posters! » Archive "F5" Shirt by Aye Jay from Nakatomi Inc. - OMG Posters! 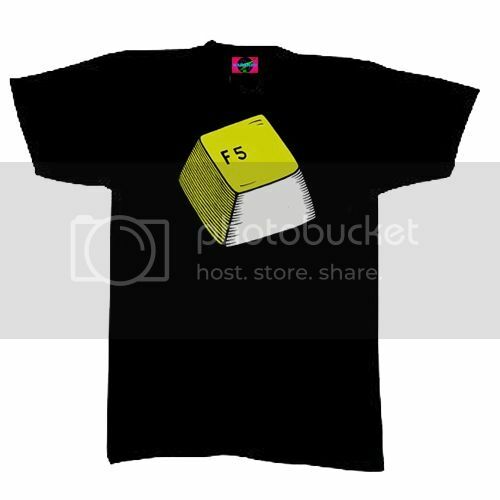 If you visit this website, I am sure you are more than familiar with the F5 key. After Aye Jay’s comment explaining what went into making these, I think it’d be a disservice NOT to buy one. GIVE ME SOME OF THAT MOJO AYE JAY! I keep refreshing the page, is it sold out?